We are a Civil War reenacting group, portraying a typical Union company. Our group is made up of people from the Grand Rapids, Mi and the surrounding areas. 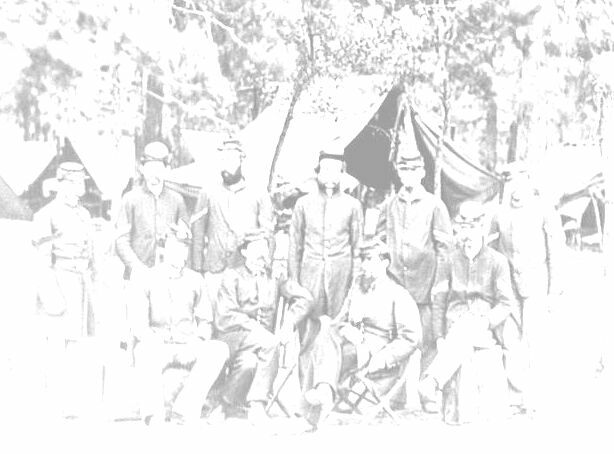 At the Blandford Campsite, The Third Michigan Co. F will recieve a pay issue of federal greenbacks to all Infantry members present. You must be present to recieve pay issue! The next membership meeting is at the Norton's House on July 11, 00. The next campaign is the reenactment at Charlton Park in Hastings on July 21-23. Click on the Links below to navigate the Third's website. Click here to e-mail the Third for more information or to join up.